With growing interest in holistic care, many dog owners recommend the use of aromatherapy oils for a range of physical ills and behavioral problems. 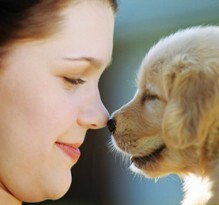 Essential oils are very good substances to help enhance a dog’s behavior and also to promote health of the same. Canines with certain ailments and behavioral challenges may be treated with the application of these oil through aromatherapy. They work either by inhalation (through the olfactory system) or topical application to provide healthy skin and coat for dogs. Dogs have a much more keen sense of smell than human beings. So it is very important to dilute your blends first. While it is may not smell like much to you, but to them it is very potent. Essential oils have been most effective for treatment of skin problems in dogs. 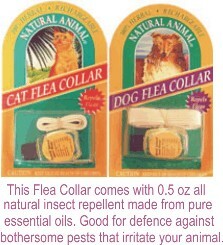 These natural essential oils will not harm the sheen of your pet's coat or dry the skin. The use of the oils in aromatherapy for dog in treating skin ailments is effective. The all-natural quality of these substances makes it hypoallergenic to dogs and also it does not affect the shine of their fur not does it make the skin of your pet dry. Whether your dog has a tick problem or suffers from anxiety using natural smells through aromatherapy for dog you can improve the health of your dog and your dog will even smell better. Hydrosols may also be recommended as these substances are milder than essential oils. Hydrosols are the substances extracted from distilling the foliage, spice, herb and flora and hydrosols are taken during the early stages of the process so it has less essential oil concentration. This substance type is advisable to puppies, mature dogs and those that are pregnant or nursing. Essential oils can be used in sprays, ointments and other grooming products. Apply those oils via massage and/or inhalation. Massage is a very good way to convey care and help improve personal relation with your dog. This provides the sense of security for the dog from its owner. Touch is one of the effective ways of communicating with your dog since they are not capable of speak. Make sure to use gentle strokes and that appropriate pressure is applied only when necessary. DO NOT APPLY PRESSURE ON SORE AREAS of your dog, if you are not sure which is sore or not make sure to refer with a specialist. It is best when first starting to use essential oils to allow your dog first smell the oil and see how they react to the odor to know whether to begin with a diluted spray or to start with a full massage. Whether your dog has a tick problem or suffers from anxiety using natural smells through essential oils you can improve the health of your dog and your dog will even smell better. What are the causes of bad dog breath...Guide to cleaning dog ears...Keep your pet happy and healthy with regular grooming! What are essential oils for your dog? Eucalyptus for soothing respiratory ailments. Lemon and citronella as an insect repellent. Lavender has a relaxing effect for an overactive puppy. Rosemary is good for arthritis, flea-lice repellant and soothes irritated skin. Peppermint is stimulating that will help lethargic puppies go moving around. Niaouli and tea tree for skin allergies and healing ear infections. Improve your relationship with your pet with these suggested methods and application. It is guaranteed that not only are you able to care for your pet but you are also able to extend the benefits of aromatherapy to them as well.